Green power. What is the impact of avocado oil on hair? There are plenty of articles about hair oil treatment and almost every woman knows how to do that. However, it is still difficult to obtain some information about properties of given oil on hair. In the Internet we can find number of articles describing general qualities and properties of given oil, but remember that each one of them has different properties when used as a cosmetic and different (as in case of avocado oil) as a food oil. We will try to describe those beneficial properties of avocado oil with focus on hair oil treatment. you should remember to choose cold pressed oil, best from organic cultivation; only then it will preserve its diversity of valuable ingredients hidden inside. it is an oil rich in EFA (essential fatty acids), which supplement hair with moisture and create invisible, protective film on them, so called lipid barrier. phospholipids – help repair hair damages. phytosterols – repair hair structure and regulate intercellular processes in hair – in other words they penetrate cells and take care of them. protects against harmful UV radiation, so it is perfect for the summer. improves condition of dry, colour-treated, damaged by straightening and other treatments hair, i.e. regenerates hair, moisturises and nourishes them. contains 7 valuable vitamins: A, B, D, E, H, K, PP. Used on hair allows vitamins to penetrate inner hair structures and rubbed into the scalp prevents hair loss and additionally strengthens bulbs. it is perfect for hair oil treatment, because it absorbs fast and is not thick, so it can be easily rinsed even with delicate shampoo. it provides hair with gloss, so effects of treatment with avocado oil are visible almost immediately. very efficiently protects ends against dryness and split ends – it can be rubbed only in ends – one drop is enough. What is more, avocado oil can be used also in the kitchen – added to salads and other meals will deliver organism with essential vitamins, minerals (magnesium, manganese, iron, phosphorus, potassium, sodium, zinc) and fatty acids. 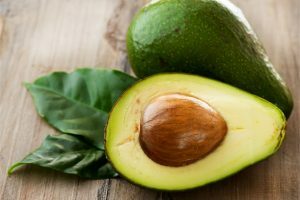 Avocado Oil – green fruit as a true beauty guardian Copyright © 2019.